One of my favorite things about the Imagination Pavilion in EPCOT is the way it brings me back to the time when the theme park first opened. The flagship ride here is Journey Into Imagination with Figment. This ride went through a major overhaul in 1999 (removing fan favorite DreamFinder from the ride.) Fret not...you can still find the adorable and lovable Figment, nods to famous Disney scientists, and some fun catchy tunes on the ride. It dumps you out into the ImageWorks lab where you can sometimes catch Figment for a meet and greet! Currently, the only other attraction at the pavilion is Michael Jackson's Captain EO! This returned to Disney World after a big hiatus in 2010 after the King of Pop's untimely death. This 3D adventure was produced by George Lucas and dreamed up by Disney Imagineering. Very retro, with fun creatures and music, as well as a couple great 80s Michael style songs! 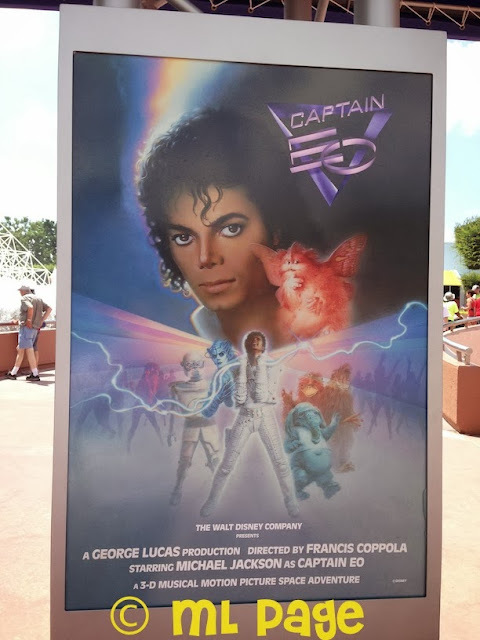 If nothing else Captain EO is a fun reprieve on a hot day! Take a break and take a stroll to Imagination on your next visit to EPCOT!